Update: Recent leaks include a variety of new renders of the watch, including a look at the new user interface we can expect on Samsung&apos;s next smartwatch. 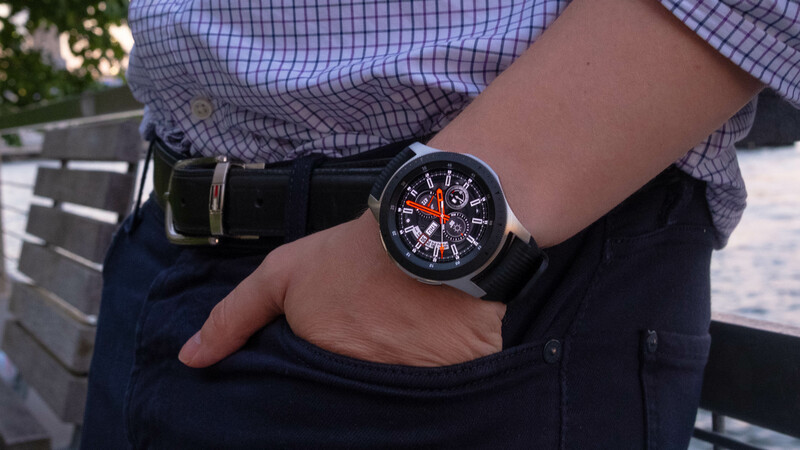 The Samsung Galaxy Watch is notable for a lot of reasons, not least of which being that it’s a highly capable smartwatch – in fact, it&apos;s number one in our best smartwatch ranking – and it doesn’t run Wear OS or watchOS, relying instead on the Tizen operating system. 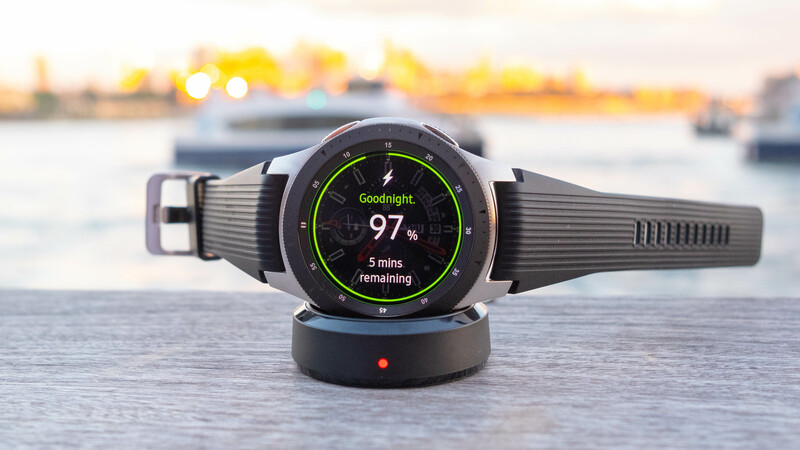 With a stylish design, long battery life and loads of tracking skills it does enough to compete with any wearable running those better-known operating systems, but it isn’t perfect by any means, so we’ve come up with a list of improvements that we want to see on the next Samsung smartwatch. Originally we wrote these expecting them to be improvements we&apos;ll see on a Samsung Galaxy Watch 2, but since then we&apos;ve heard rumors of a product called the Samsung Galaxy Sport instead. You&apos;ll find what we want to see as well as everything we&apos;ve learnt so far about Samsung&apos;s next smartwatch. That includes possible release timing, price and features. 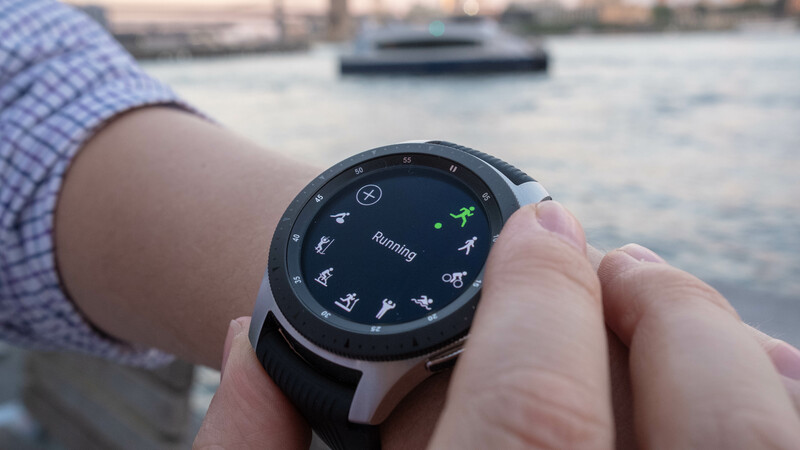 That said, rumors of the Samsung Galaxy Sport are now heating up so we may instead see that a touch earlier as a line of devices that sits separately to the Samsung Galaxy Watch. A device we believe to be the Samsung Galaxy Sport has been spotted in an FCC filing, which may mean it&apos;s nearly ready to be released. It&apos;s also been certified in South Korea and Taiwan. If this is the Galaxy Watch Active, we expect to hear more about it alongside the Samsung Galaxy S10 that is set to be announced on February 20. However, there’s no guarantee of that and there are no exact release date details yet. If this is in fact the Samsung Galaxy Watch 2, we may be waiting until later in 2019 to see it released. There aren’t any price rumors yet either, but the Samsung Galaxy Watch launched for $329 / £279 / AU$499 for the 42mm version or $349 / £299 / AU$549 for the 46mm model, with prices going up if you want a version with LTE. So we’d expect the Samsung Galaxy Sport will cost at least that much and it may cost more. The next smartwatch from Samsung is unlikely to be called the Galaxy Watch 2 – that&apos;s probably a name reserved for a follow-up to the original watch and we&apos;d expect that to launch late in 2019 or perhaps even later. Rumors suggest this will be called the Samsung Galaxy Sport, but there&apos;s also another rumor saying it&apos;ll be the Samsung Galaxy Watch Active. That suggests an adventure-led design with a more rugged look, and it may eventually be the final name of this next Samsung wearable. 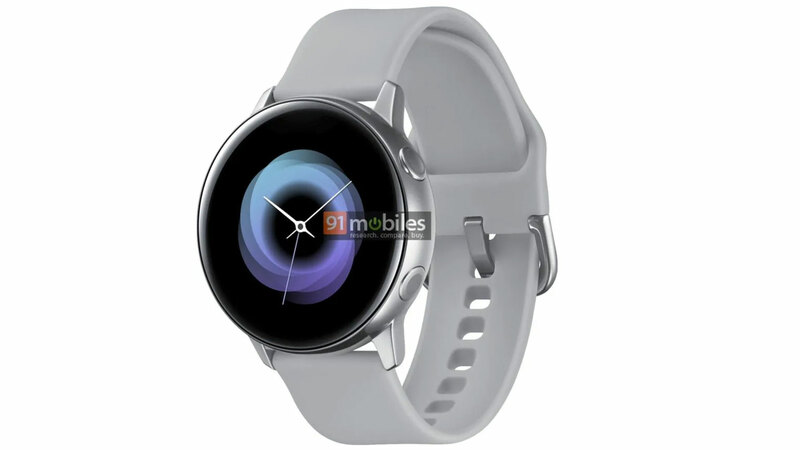 There aren’t yet any whispers about the Samsung Galaxy Watch 2, but there are some renders seemingly showing the Samsung Galaxy Sport. That may show us Samsung&apos;s next smartwatch as well as give us a hint of what to expect on the Galaxy Watch 2. Below you can see the most important render so far – found by 91Mobiles – that shows the full look of the watch with a round design, chrome body and two circular buttons on the right hand side of the watch. 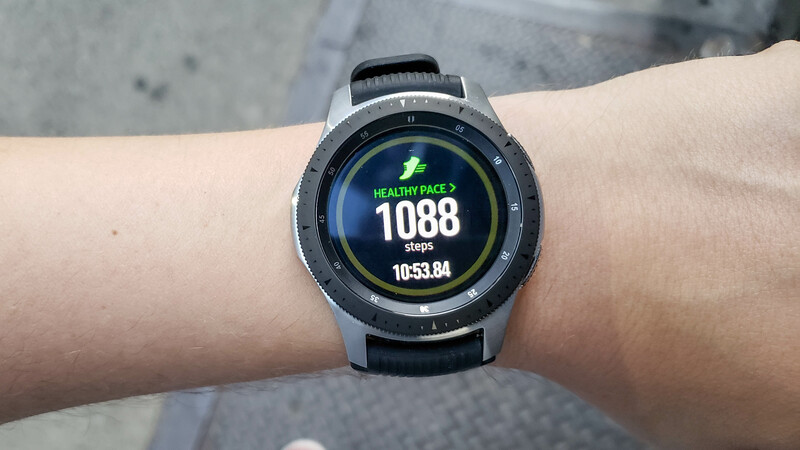 We&apos;d expect to see further color variants of the watch at launch, and it&apos;s not currently clear if the company would offer up two different sizes like it did for the Galaxy Watch. Giving credence to the leak above, we&apos;ve also seen the below render provided by Tiger Mobiles that shows the same design but in three different colors. Those are blue, black and rose gold to go alongside the silver variant, but there&apos;s still no confirmation of spec or different sizes of watch from this leak. Further renders show a hint of the design as well, which you can see below. The main change being that the bezel is smooth rather than toothed and looks like it might not be rotatable. The two buttons on the right edge are also a different shape. Then there&apos;s also a quick look at the user interface the company will be using on the Samsung Galaxy Watch Active. A leak from SamMobile has suggested Samsung will be revamping its software to keep it in line with its relatively new &apos;One UI&apos; look used in a beta on the Samsung Galaxy S9 and expected to feature on the S10 series. 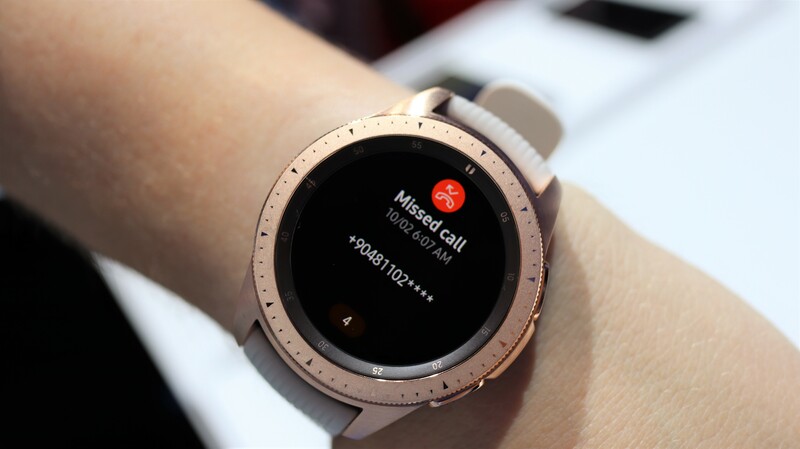 Exactly how it will change isn&apos;t clear, but below you can see a screenshot of leaked watch faces we currently expect Samsung to include on the new atch. All that aside, it’s very likely that Samsung is working on the Galaxy Watch 2, and we can take some educated guesses as to certain features that it may have. The Samsung Galaxy Watch is a great smartwatch but one with plenty of room for improvement. The following seven features are things we’d really like to see on the Galaxy Watch 2 / Galaxy Sport.